Voltron is back in a new hit Netflix series, Voltron Legendary Defender, from DreamWorks Animation! 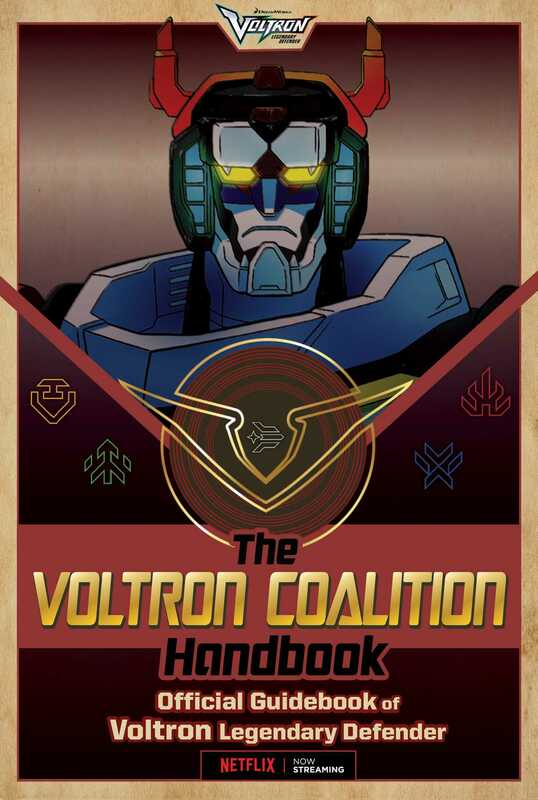 Don’t miss this ultimate collector’s guide to the Coalition for Voltron fans, new and old! Congratulations! If this guidebook is in your hands, it means you were recently freed from Galra rule—welcome! By now you have likely heard about Voltron, a robot that defends the universe. Voltron is piloted by five brave Paladins, but they cannot do it alone. That is why they need you to join the Voltron Coalition and help restore peace to every edge of the universe. This guidebook comes complete with handwritten notes from the Paladins about different worlds, their lions, the allies in the Coalition, maps of the Castle of Lions, and much more! Now, don’t get your Weblum in a twist—read this official guidebook! This full-color guide is an experience-based, must-have for all Voltron fans!